Are you sensitive? And what does this actually mean? Amanda Chan’s article posted in the Huffington Post outlines the key habits and characteristics of a group of people, emerging wearing the title “highly sensitive”. I wouldn’t say that these individuals love this label, but I am assured by friends and family that knowing that one in five people identify with the HSP makes living with it easier. 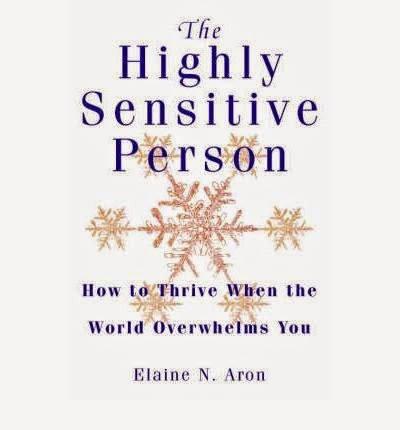 Elaine N Aron’s research into highly sensitive people which began in 1990s has developed into a range of helpful strategies, data, books and tools which individuals can adopt and use to great effect. Many HSP often believe that they are at odds with the world for behaving or responding a certain way. Aron asks – Is this you? This has been the focus of much conversation with a few good friends over the past year. We have exchanged stories about our own experiences and behaviours we see in others, including children. Sometimes it helps just to understand. To have someone else describe what you have felt for a long time but have not been able to put into words. If you would like to follow this up, take the HSP self test.